BOULTON, CHARLES ARKOLL, army officer, militia officer, surveyor, businessman, politician, author, farmer, and office holder; b. 17 April 1841 in Cobourg, Upper Canada, son of D’Arcy Edward Boulton, a lawyer and militia officer, and Emily Heath; m. 4 Feb. 1874 Augusta Latter in Orillia, Ont., and they had seven children; d. 15 May 1899 in Russell, Man. The great-grandson of judge D’Arcy Boulton*, Charles Arkoll Boulton was born into a family with strong connections to the military and political élite of Upper Canada. 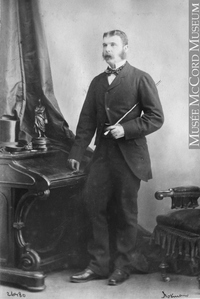 In 1854 he entered Upper Canada College. Following family tradition, he opted for a military career and recruited for an ensigncy in what became the 100th Foot, receiving his commission on 23 June 1858. Promoted lieutenant on 25 May 1861, he bought a captaincy on 15 June 1866. His service included a four-year stint at Gibraltar, a brief stay on Malta, and two years, 1866–68, at Montreal. He sold his commission in 1868 and was subsequently named major in the 46th (East Durham) Battalion of Militia in Ontario. In 1869 Boulton joined the survey party led by John Stoughton Dennis* that was sent to the Red River settlement (Man.) in anticipation of a rush of settlers to the region after its annexation to Canada. 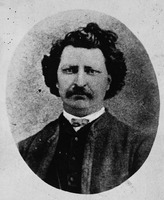 When the Métis under Louis Riel* resisted the imposition of Canadian rule, Boulton was called upon by Dennis to organize volunteers to put down the uprising. Early in December about 50 of the volunteers barricaded themselves in a building belonging to John Christian Schultz. Boulton was not successful in persuading them to withdraw. As a result, the Métis captured the volunteers on 7 December and imprisoned them in Upper Fort Garry (Winnipeg). Dennis left the settlement shortly afterwards. Boulton, who had hoped to establish Canadian authority, lost his nerve after the capture of the volunteers and Dennis’s departure. He decided to winter at the predominantly Canadian settlement of Portage la Prairie. In mid February some Canadians who had escaped from their Métis captors and fled to Portage la Prairie determined to march on Upper Fort Garry to rescue the remaining prisoners. Boulton tried unsuccessfully to restrain the “hotheads,” including Charles Mair* and Thomas Scott*. In an attempt to keep them out of trouble he gradually assumed leadership of the group, which planned to unite with another led by Schultz. The Métis had no difficulty containing the poorly controlled Canadians and took most of them, including Boulton, prisoner. He and three others were sentenced to be executed but were spared through the intervention of leaders in the Red River community. Upon his release from prison on 16 March 1870 Boulton returned to Ontario. Subsequently Boulton operated a sawmill near Lakefield, participated in the militia, and was elected municipal councillor and chosen reeve in 1874. Collapsing markets for sawn lumber forced him and his partner, Roland Strickland, into bankruptcy in 1877. Boulton eventually turned to the west once more. In 1880 he established a rustic homestead in the Shell River valley (Man.). Pioneering proved extremely difficult as Boulton struggled to balance limited financial means with the needs of a large family, a strong speculative bent, interests in a sawmill, and political inclinations. In 1881 the boundaries of Manitoba were extended to include the Shell River valley, and a system of county government was introduced. From his position as the first warden of Russell County, Boulton lobbied the provincial and federal governments for a badly needed railway connection to the Russell-Shellmouth area. His attempt in 1881 to obtain higher office failed when he lost the election for the provincial constituency of Birtle. He was, however, named chairman of the judicial board of the western district that year. Although he shared the anger of Manitobans over federal neglect of the west, Boulton did not question Canadian authority there. 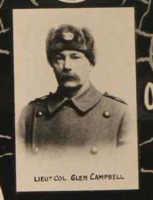 He happened to be in Winnipeg in late March 1885 when news of rebellion in the North-West Territories arrived, and he immediately offered his services to Major-General Frederick Dobson Middleton, commander of the Canadian militia. Granted a commission, Boulton returned hastily to the Russell area where he raised two troops of scouts. Known as Boulton’s Scouts, they played a major role in the battle at Fish Creek (Sask.) and led the main Canadian force on its march to Batoche. After that battle Boulton remained in the district pursuing the Cree chief Big Bear [Mistahimaskwa*] until he surrendered to the North-West Mounted Police. Boulton hoped to capitalize on his military accomplishments by publishing quickly an account of his activities, Reminiscences of the North-West rebellions, and by lobbying the federal government for patronage. During extended trips to Winnipeg and Ottawa he left his long-suffering wife to look after the family and to deal with their perpetual financial difficulties. Boulton’s repeated requests for a suitable appointment proved unsuccessful, a bitter disappointment for a man who felt that his military service deserved recognition. While waiting for a suitable reward, Boulton farmed and maintained a general store. 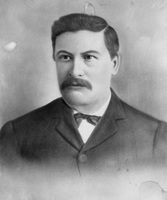 In 1886 he was involved in the formation of the Manitoba Dairy Association; he became vice-president in 1888 and president in 1890. An active freemason, he was also a lay reader in the Anglican church and an advocate of temperance. He remained interested in politics, running unsuccessfully for the Conservative party in the federal constituency of Marquette in 1887. Two years later he finally received what he considered long-overdue patronage when he was appointed to the Senate. There he fought for additional railway construction and free trade, despite his ties to the Conservative party. In 1895 he attended the annual convention of the Patrons of Industry and was named grand auditor of that agrarian pressure group. The Russell Chronicle and Free Trade Advertiser, a newspaper he had established in 1893, supported the reform platform of the Patrons. Charles Arkoll Boulton’s importance rests in his military contribution, where he left a mixed legacy, and his struggle to promote the Canadian west. During the 1869–70 rebellion he offered weak and inconclusive leadership. Despite his greater success in 1885, however, he discovered that the country offered little honour to its military leaders. Although he was selected to participate in Queen Victoria’s Diamond Jubilee celebrations in London in 1897, he did not win great acclaim in Manitoba or in the country at large. Boulton’s career and outlook mirrored that of many of his fellow Manitobans. His public life consisted of a constant struggle between the demands of his Conservative affiliations and the protests of an angry western Canada. Like numerous western Canadians, however, he demonstrated the limits of protest against federal policies in his unequivocal response to the North-West rebellion. 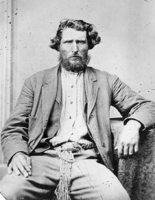 His personal financial difficulties paralleled the experience of many on the Prairies, caught between the enthusiasm of initial expectations and the reality of western pioneering. Charles Arkoll Boulton is the author of Reminiscences of the North-West rebellions, with a record of the raising of Her Majesty’s 100th Regiment in Canada, and a chapter on Canadian social & political life (Toronto, 1886), reprinted with an introduction by Heather Robertson as I fought Riel: a military memoir (Toronto, 1985). AO, MS 575. NA, MG 26, A; RG 8, I (C ser. ), 184: 28; 1020: 62–65. PAM, MG 3, B15; B16; D1; MG 14, B20. St Peter’s Anglican Church Arch. (Cobourg, Ont. ), Reg. of baptisms (mfm. at AO). Brandon Sun (Brandon, Man. ), 1897–99. Observer (Birtle, Man. ), 1884–89. Canadian men and women of the time (Morgan; 1898). CPC, 1897. Hart’s army list, 1858–69. 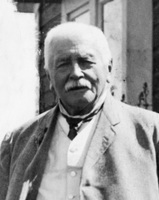 Major Charles Arkoll Boulton (n.p., 1981). Keith Wilson, Charles Arkoll Boulton (Winnipeg, 1984). B. R. McCutcheon, “The Patrons of Industry in Manitoba, 1890–1898,” Man., Hist. and Scientific Soc., Trans. (Winnipeg), 3rd ser., no.21 (1965–66): 7–25. Kenneth Stephen Coates and Ruth Swan, “BOULTON, CHARLES ARKOLL,” in Dictionary of Canadian Biography, vol. 12, University of Toronto/Université Laval, 2003–, accessed April 21, 2019, http://www.biographi.ca/en/bio/boulton_charles_arkoll_12E.html.